Today I’m looking at another couple of recently-published books, from two very different independent designers, who both took completely different routes to publication. What these two books share, however, is an intelligent engagement with two specific aesthetic contexts, as both were directly inspired by artwork in other media. 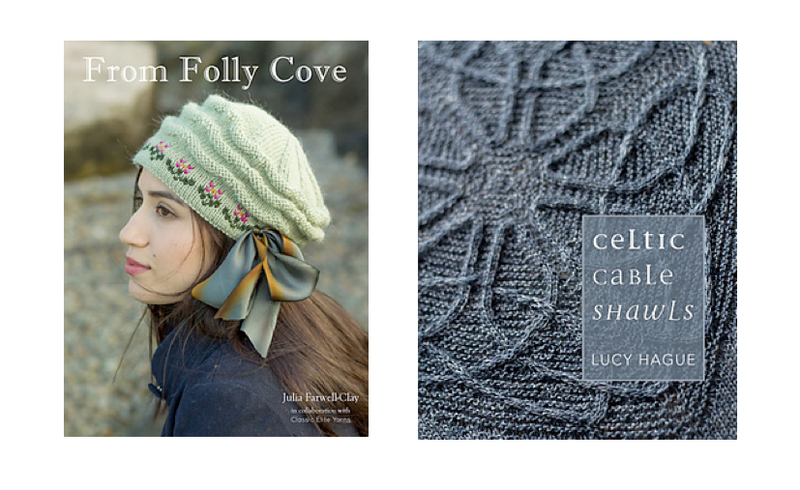 While Lucy Hague’s innovative closed-cable shawls are inspired by Pictish and Celtic knotwork, Julia Farwell-Clay took inspiration for her lovely collection from the prints, lives, and milieu of the Folly Cove designers. Lucy Hague grew up in Orkney, and now lives in Edinburgh. Orkney has many important archeological sites, and abounds with examples of intriguing insular art. Inspired by Pictish and Celtic carvings, as well as by the work of George Bain (whose 1951 investigation into Celtic stonework, jewellery and manuscript illustration did much to revive interest in this iconic design style), Lucy has created a truly stunning collection. 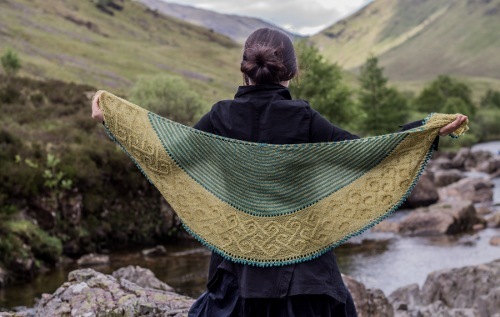 Lucy’s book includes patterns for seven shawls, each arranged in order of complexity, from designs with a plain centre and cabled edging, like Carradal and Kyna, to gorgeous allover patterns, such as Morvach and Malgven. 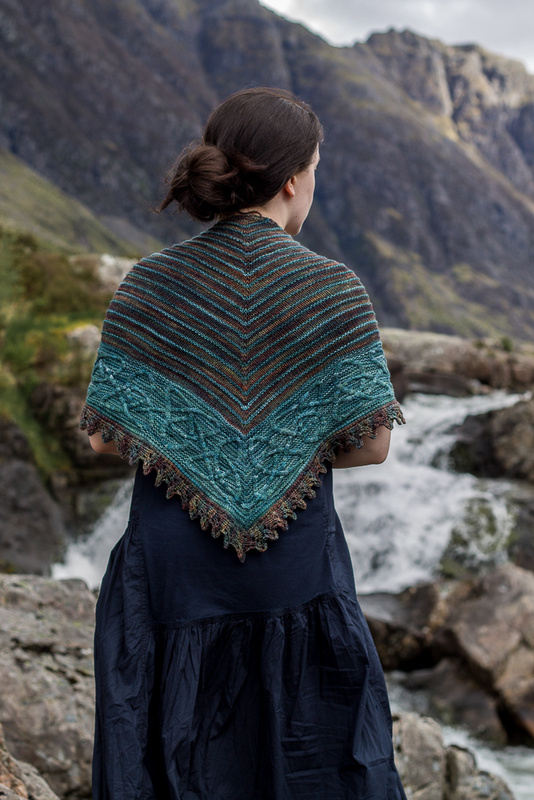 Malgven, a beautiful centre-out shawl. Lucy is one of those designers with a really distinctive aesthetic that she has pursued and perfected. 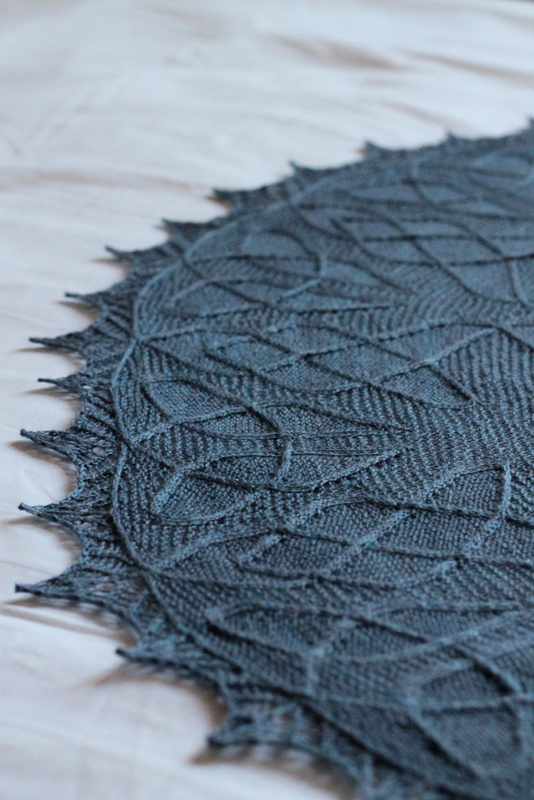 I always enjoy reading about other designers creative processes, and you can get a great sense of the depth and thoughtfulness of Lucy’s work in this post about the Talesin shawl. Celtic Cable Shawls also includes an introduction in which she talks about her aesthetic inspiration, together with several clear tutorials for the key techniques involved in closed cable-knitting (elongated stitches, multiple increases and decreases, cabling without a cable needle). The photography is luscious and evocative and the patterns – though undoubtedly complex – are clearly explained and laid out with charted and written instructions. There are so many things I love about this book. The designs are breathtaking, but they are also eminently knittable and – best of all – wearable. 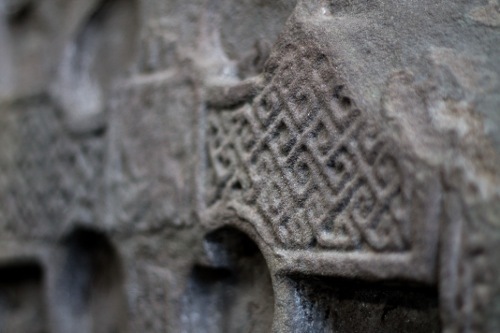 So many pieces of cabled knitwear have sources of inspiration that have been described as loosely “Celtic”, to the extent that some styles are so familiar that they feel hackneyed or ubiquitous. Lucy’s original shawls are the polar opposite of this. With their strong lines, their carefully worked twists and loops, these designs speak of their aesthetic past, but they strongly articulate the contemporary knitterly moment too. I think that it is the sheer depth of Lucy’s intelligent engagement with insular art that makes her work so appealling and so very distinctive. I love what she’s done in this book. Kyna, and the jewellery that inspired it. One of the most significant impediments to self-publishing is basic logistics: how are you going to store and distribute all those books? Lucy chose to work with Lightning Source – a large and well-established print on demand service. “It seemed like the least risky option,” Lucy told me, “you don’t have to put down a huge amount of money for an intial print-run (and you don’t need space to store thousands of books – useful for me, as I live in a tiny flat! )” And why, I asked, did Lucy choose self-publishing rather than to work with a larger publisher? 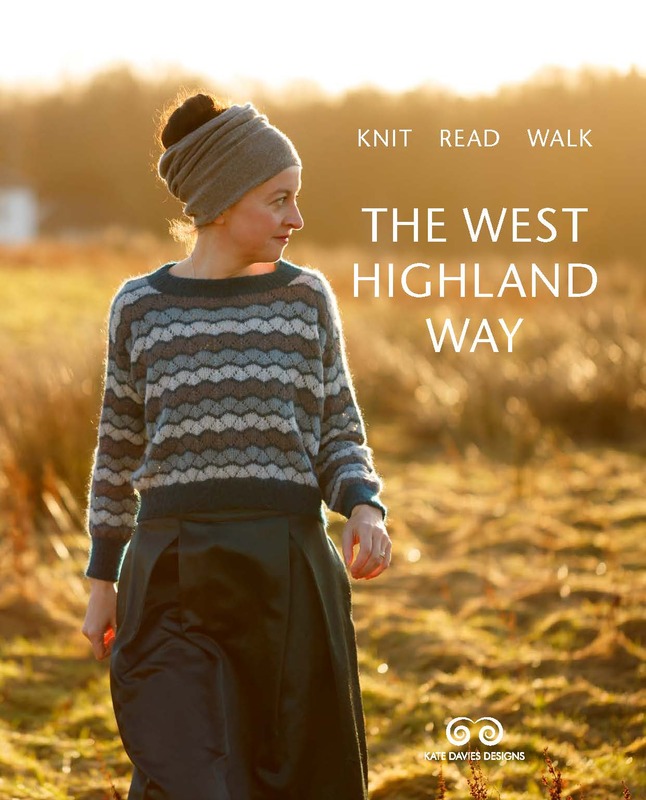 “I knew that I would be making a book that would be quite long in relation to the actual number of patterns included (because of the complexity of my patterns, and the fact that I include full written instructions for all the charted sections), and I thought this might be off-putting and hard to pitch to to the types of companies who traditionally publish knitting books.” Print on demand has been ideal for Lucy: “I really love that I’ve been able to have complete control over the entire book-making process, from start to finish, and that I can so easily get my books to customers all across the world.” Celtic Cable Shawls is a beautiful, professionally produced book, that also comes with a complementary e-book, and a digital only option. 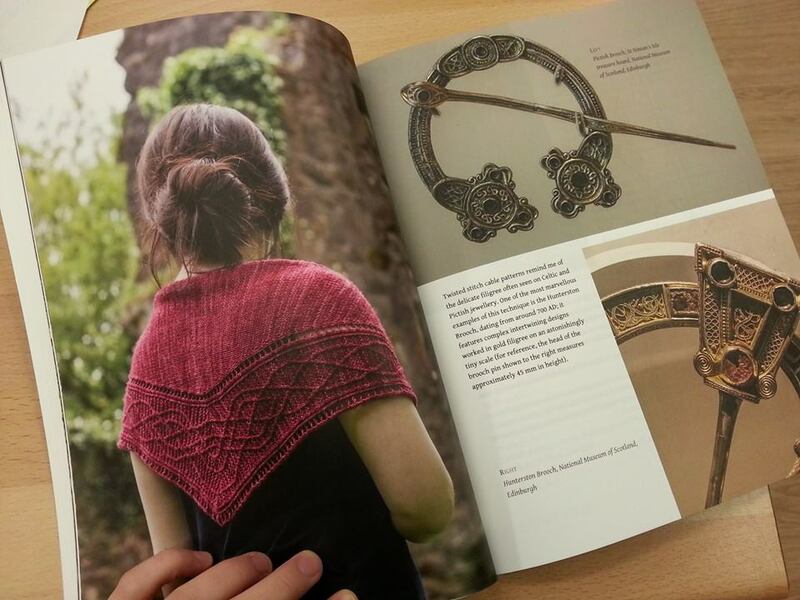 You can buy the print book directly from Lucy and the digital book from her Ravelry store. I’m a huge fan of the work of Julia Farwell Clay, who often produces hand-knit designs directly inspired by 20th Century literature, art, and music. Her patterns have a rich context, that speaks of their creator’s breadth of thinking, and her recent collection for Classic Elite’s Viewpoints series exemplifies her intelligent approach. 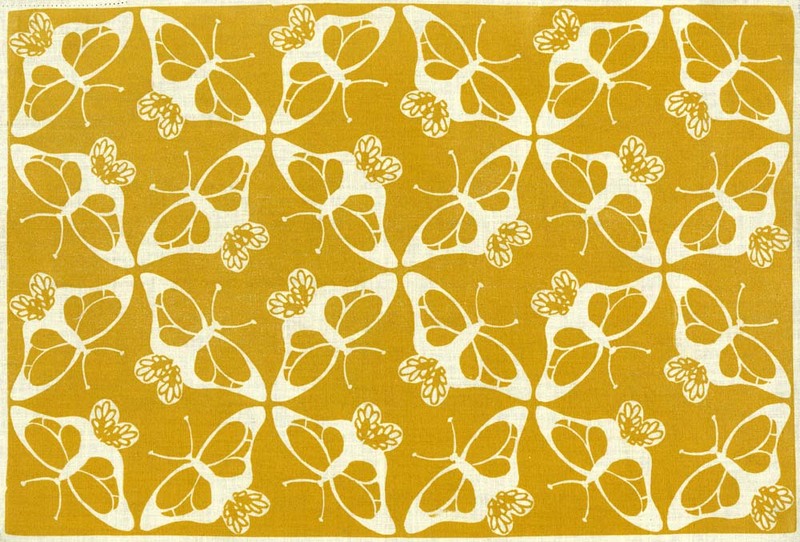 From Folly Cove is a collection of eleven designs inspired by a group of artists and designers, who lived and worked around Gloucester, Massachusetts, from 1938 to 1969. Many of you will know the books of Virginia Lee Burton Demetrios. You may not know, however, that under her leadership, an important collective of artists and craftspeople flourished in and around her Massachusetts home. Demetrios developed a design course, followed by several of her friends and neighbours in Gloucester. As the Folly Cove course grew in popularity, the group was structured as a guild, with regular meetings to scrutinise and support each other’s work. Few of the group were otherwise professionally trained, but the collaborative structure of the Folly Cove Collective enabled them to grow into designers of the very highest standard, each developing their own signature style. 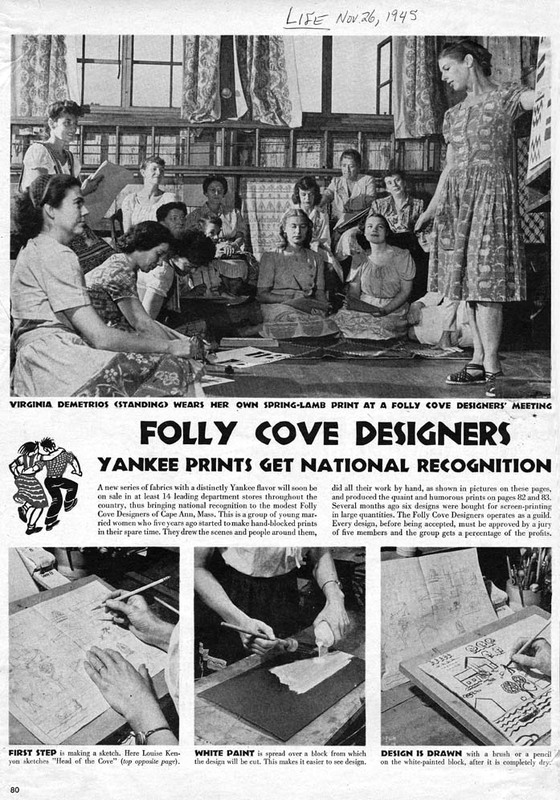 The Folly Cove designers were mostly women, and I find something extremely inspiring in the way this group supported and enabled one another to combine their creative with their domestic lives, growing together into artists and craftspeople of international repute. Julia’s collection is infused with the spirit of Folly Cove, drawing inspiration from the lives and works of these women. 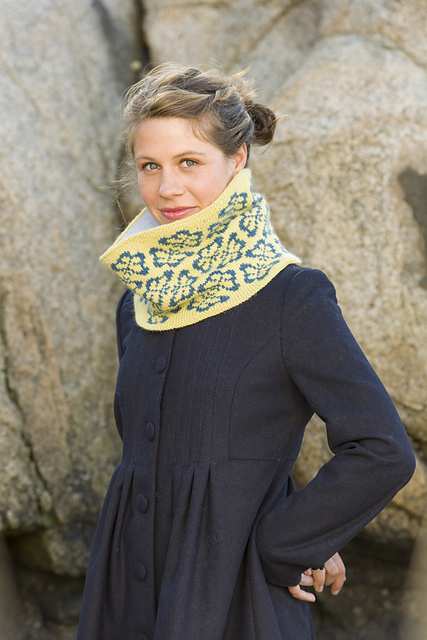 Some of Julia’s designs are directly inspired by the graphic allover repeats created by Folly Cove designers, such as her Iarrobino Butterfly Cowl which echoes Elizabeth Iarrobino’s tesselating butterflies (above). Other pieces are not only linked to specific Folly Cove designs and designers, but also seem to celebrate the ethos of the collective in a more general way. One of my favourite patterns in the collection is Hetty’s Garden Coat, a garment inspired by one of Julia’s favourite Folly Cove prints, Victory Garden , by Hetty Whitney Beatty. 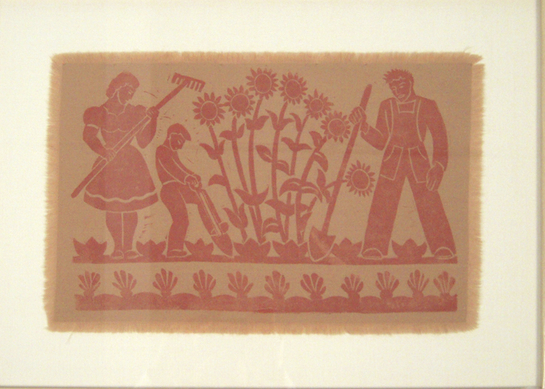 (Hetty Whitney Beatty, Victory Garden ). This is a beautifully structured garment, whose flourishing sprigs really capture the mood and feel of Beatty’s victory garden. Elsewhere in Julia’s collection, you’ll find pieces that are more about suggesting Folly Cove’s moment and locale than they are about direct design inspiration. I love Lanesville‘s neat vintage details.
. . . and the cosy wearability of Natti, named for Lee Kingman Natti, a key member of the Folly Cove collective. Taken together, Julia’s collection is powerfully suggestive of Folly Cove both as a place and a group of inspiring women. Many pieces have an eastern-seaboard, maritime feel, while others carry a graphic exuberance which echoes both the energy and the aesthetics of the Folly Cove collective. 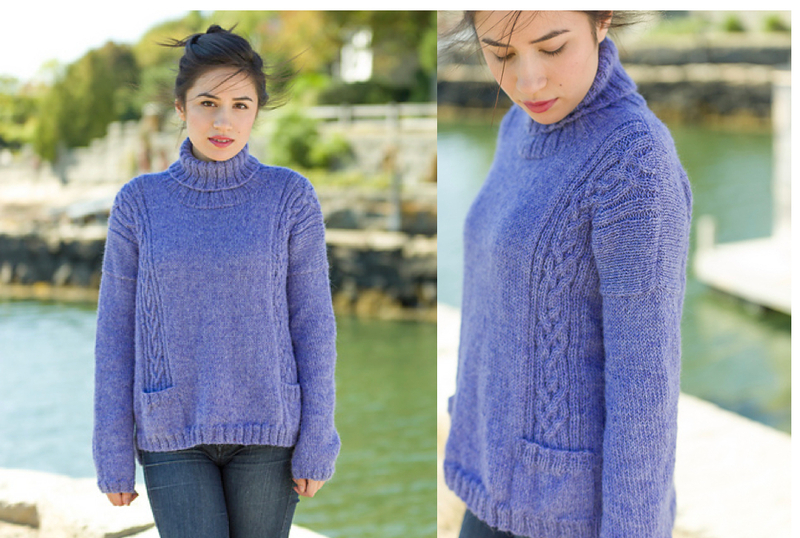 And there are other important echoes with Folly Cove too, as Julia’s collection is not simply the work of one designer, but the product of a supportive collaboration. From Folly Cove is part of Classic Elite’s Viewpoints series, “an open collaboration between the indie designer and the resources at Classic Elite” the aim of which is to “give a talented designer the freedom to tell a story with a themed collection of their designs.” Julia worked closely with Classic Elite’s creative director, Susan Mills, honing her design ideas, and developing them into patterns that would work with particular Classic Elite yarns. “Classic Elite were a complete joy to work with”, says Julia, “they gave me this great freedom to imagine what the book would be about, and what it would look like, and then let me run the show.” Thus, in this collection, Julia’s voice doesn’t just speak through her patterns, but she has the space to introduce and talk about the inspiration behind, and context of, each design, as well as discuss the work of the Folly Cove collective more generally. 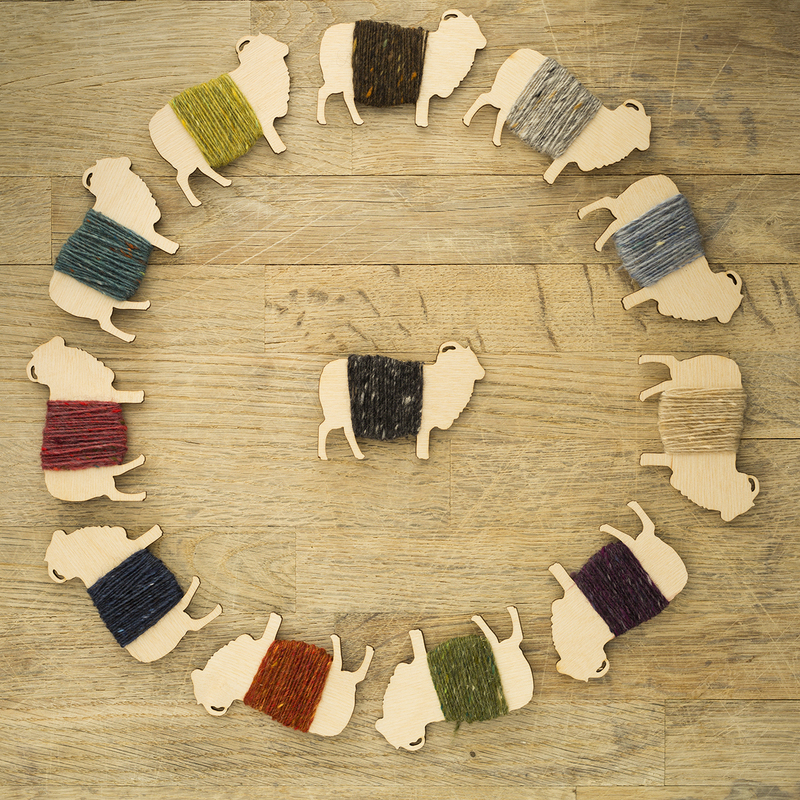 I think this publishing model – in which an independent designer is commissioned and supported by a yarn company to tell their own design story in their own way – is really refreshing and inspiring. 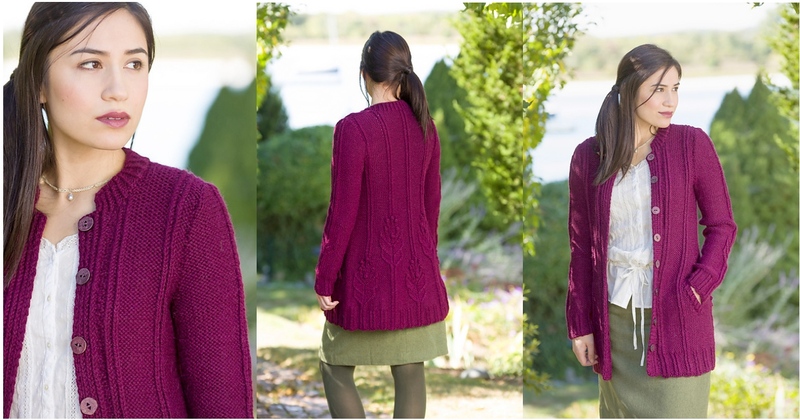 As I write this post, Julia preparing to talk about the Folly Cove designers and her collection at Slater Mill. How I wish I could be there! 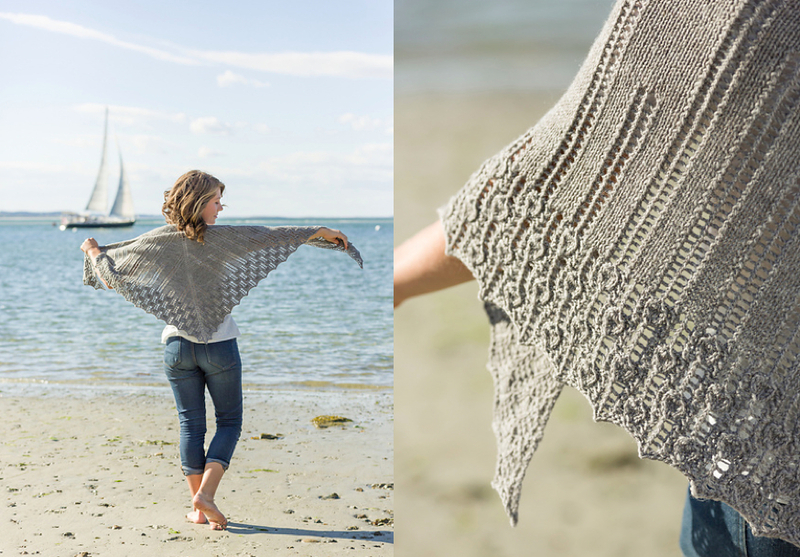 You can purchase From Folly Cove as a print + digital package direct from Classic Elite, as an ebook only via Ravelry, or as individual patterns. I’ve knit two shawls from Lucy’s book and loved the experience. What she does that is so valuable is provide a square swatch design that will not only show you if your yarn is suitable for the cables, but will also teach you all the techniques that you need to complete any of these shawls. I found the two hours I spent knitting that tiny swatch was invaluable for the rest of the designs. The instructions are very clear and the results as you can see from the photos are stunning. Now to look up more about Folly Cove. Thanks for these posts Kate. Thank you for sharing this; I have lived in Boston and really miss the coastal area… (even though I live close to a Norwegian fjord!). But I was not aware of the Folly Cove artists! My kids have a few of Virginia Lee Burtons’ books, but I just ordered her book about being an artist. Would be happy if you have other books about the Folly Cove women to recommend! Thanks for the introduction to new designers! 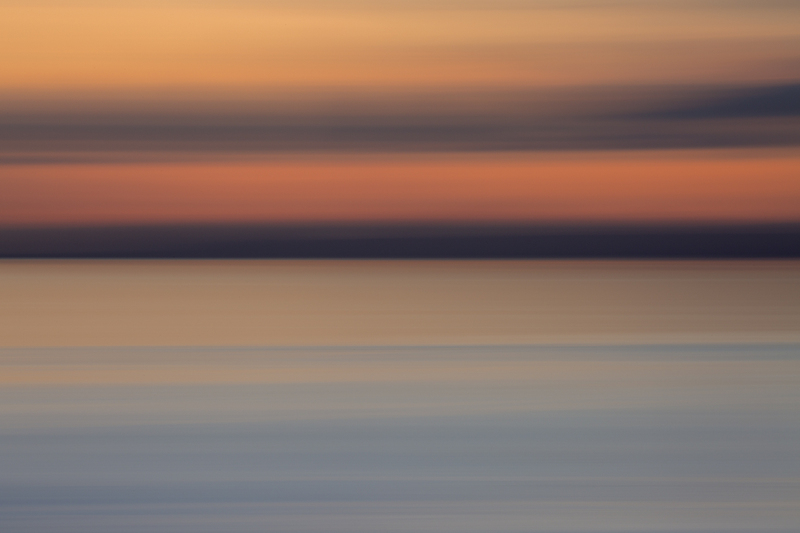 I am always happy to find new people with beautiful work to follow. I lived a few years in Boston and even though I now enjoy the view of a Norwegian fjord almost daily I miss the Coastal area we grew very fond of! I was not aware of the artists in Folly Cove and would like to know more; do you have any literature to recommend? Thanks for all this info! It’s always a pleasure to read your well researched articles. sunny greetings from Bavaria! This is also my first look at these books. What a treat. Those cables! That Glasgow Rose is stunning. A wonderful post Kate. I’ve had Ishneich in my favs and queue since June last year and really must knit it up. Love Lucy’s designs. They look terrific! I love having all the history and context. This is my first look at these two publications – thanks for the introduction. I love works like yours that give the knitter and reader a deep sense of their origins and inspiration. I live in Boston, and I knit. I am inspired by your celebration of all the facets of these beautiful books, and the connection between designers in Edinburgh and Gloucester. Thank you for your good work. Thank you for such thoughtful posts, I adore self published knitting books, they feel far more personal than those by major companies. I now have another to add to my library, having just bought The Celtic Cabled Shawls. Thank you so much for sharing and informing us about such talented women! Thrilled to have an opportunity to support them too. You are truely a generous artist. I am also a huge fan of Julia Farwell-Clay’s designs with their wonderful and thoughtful details. Thank you for this series on independent designers, Kate. To me, this is where and how the intellectual and creative spirit blossoms in its fullest form. Lovely that publishing independently allows authors to put all the information that they know knitters love.